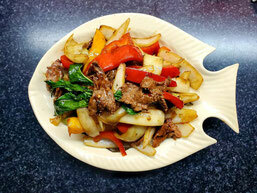 Sliced beef, Thai basil and chillies sautéed with onions and peppers. 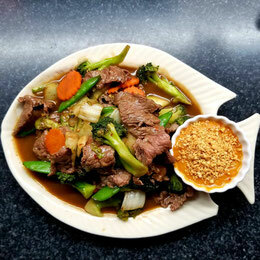 Sliced beef sautéed with fresh vegetables served with a side of house peanut sauce. 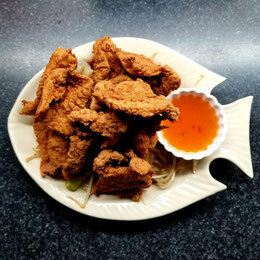 Crispy pork mildly seasoned with garlic and black pepper, served on a bed of bean sprouts and green onions. 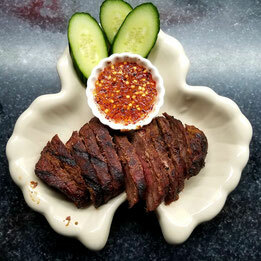 Served with a side of plum sauce.